Do you ever wonder how other people get so much done? You’re not alone! Most of us are constantly looking for time management tips to improve our productivity and help us get more done without feeling more overwhelmed. These 15 time management tips may sound simple, but don’t underestimate the impact they can have on your productivity. You would never make a single cookie from scratch, right? You’d make a dozen or even two dozen in a batch so that you don’t waste time measuring ingredients, dirtying a bowl, and running your oven just for one cookie. Batching isn’t just for baking. It’s also one of the top time management tips the experts swear by. To batch your work, simply work on one type of task for an extended period of time. Read and respond to all your emails twice a day, instead of checking email every 10 minutes, all day long. Spend 3 hours preparing social media images for the month, instead of scrambling for 20 minutes every day to create something. You’ll be amazed at how much more you get done when you stop switching tasks and start batching. We use Teamweek to keep track of our team deadlines. The software is easy to use and creates a stunning visual that lets us see exactly when our deadline is and how we’re using our time leading up to the deadline. You can try Teamweek for free with your team. Time tracking is useful for two reasons. First, tracking your time helps you create a more realistic time estimate for future projects. You might think it only takes 2 hours to write a client proposal, but if you track your time and find out it actually takes 3 and a half hours, you’ll be able to manage your time better in the future. Second, time tracking is one of our favorite time management tips because it can seriously help you avoid procrastination. When the clock is running, checking Facebook or Instagram feels a lot less productive. Our go-to time tracker is Toggl, and it integrates seamlessly with Teamweek. With this free integration, you can track your time for individual projects, while still keeping your eye on the big picture. According to a study by Mediakix, the average person spends an hour and 56 minutes a day on social media. Yikes. We’re not saying you should give up social media altogether, but you should take control of your time by limiting the interruptions. Our top time management tips when it comes to social media? Turn off the social media notifications on your phone and in your web browser. That way you can enjoy social media in your free time instead of letting it distract you when you’re trying to get more important work done. We’ve all been interrupted in the middle of our workflow before. Interruptions are inevitable, especially if you have coworkers (or small children). But, if you keep your workspace clean, it’s easier easier to refocus and get back to work after you’re interrupted. Keep just the essentials on your desktop and use organizers to keep your desk drawers tidy. At the end of each work day, do a sweep and clean up your desk so you’re ready for a fresh start the next day. It’s easy to waste time in pursuit of perfection. The problem is that if you’re aiming for perfection, you’ll never finish a project because there will always be one more thing to tweak or improve. Don’t let your fear of imperfection hold you back from getting things done. It’s better to let good enough be good enough, as the saying goes. Put your nearly perfect work into the world and keep moving forward. Believe it or not, getting enough sleep is one of the top time management tips that the experts preach. From Arianna Huffington to Jeff Bezos, plenty of extremely successful leaders are vocal about prioritizing sleep. Aim for at least 7 to 8 hours of sleep each night. And no, catching up on the weekends after a week of only sleeping 5 hours a night doesn’t count! Getting consistent sleep will help you be more productive during the day, and it will help you stay healthy so you’ll be more productive in the long run, too. A schedule can be a sanity-saver, and it’s one of the most effective ways to manage your time. Use Teamweek to create a monthly, quarterly, or yearly schedule so you can see major deadlines and project milestones at a glance. Then, use a paper or digital planner to manage your weekly and daily schedule. This powerful combination of big picture planning and more detailed daily organization will help you stay focused and in control of your time. Like it or not, things happen that will derail your time management plan. You can prepare for these emergencies by leaving buffer time in your schedule. You can schedule an hour of buffer time at the end of each work day, or leave a longer chunk of time at the end of each work week. The point is to have some unscheduled time you can use for overflow work or to catch up. Bonus: if you don’t need the buffer time for back-due projects, you can use it to get ahead on your work. Have you ever heard the saying, “If everything is a priority, then nothing is a priority”? Well, it’s true. If everything is a priority then you’re going to feel flustered, overwhelmed, and struggle to get things done. Our top time management tip for prioritizing: choose just one priority task a day, and tackle it first. As tempting as it is to identify three, four, or more “top” priorities, you’ll get more done if you pick a single priority and work on it until completion. Then you can use your remaining work time to take on secondary tasks. As much as we don’t want to admit it, time is our most limited resource. One of the easiest ways to manage your time better is to say “no” more often. One easy rule of thumb to follow: If it’s not a “heck yes,” say “no”. Trust us, it’s so much easier to manage your time if you have fewer commitments. Saying no can be tough, especially if you’re a people pleaser, but if you practice saying “no” no, it will get easier. There’s no such thing as multi-tasking, you’re simply task switching, which wastes time and energy. Research shows that constantly switching from task to task can waste up to 40% of your productive time. Not only does it take more time to complete tasks when you keep switching back and forth, you also make more errors than you would if you stuck with a single task. Commit to working on one task at a time and use the batching technique (see #1 above) to get even more done. Another top secret time management tip from the pros: take regular breaks. There are even specific time management techniques that are designed around prescribed work-break routines. For example, the Pomodoro technique is a time management strategy of doing 25 minutes of focused work followed by a 5 minute break. You can even tweak the Pomodoro Technique to fit your own work style and do 50 minutes of focused work, followed by a 10-minute break, or 90 minutes of work followed by a 30-minute break. The point is to take regular breaks to refresh your mind, so find a schedule that works for you and stick with it. You probably have repetitive tasks that you do daily or weekly. But do you have a routine for these tasks? A routine saves you time by automating your process. Instead of thinking about how you do your monthly bookkeeping, you can follow your routine and save your brain power for deeper thinking. One great way to keep track of your routines is to design a workflow checklist in Trello and connect it to a project in Teamweek. With your routine at your fingertips, you’ll be able to stay on task. Here’s our final time management tip: If a task takes less than 2 minutes, do it now, otherwise schedule it for later. What’s the rationale behind this rule? Often these 2-minute micro tasks are what leave you feeling overwhelmed. If you can take care of them immediately, instead of adding them to your never-ending to do list, you’ll clear up a lot of mental space. You’ll also feel a sense of achievement at checking one item off your to do list, which can help build momentum. And your to do list will feel less overwhelming, too. Have you heard of all these time management tips? Tell us in the comments: which tip surprised you the most? 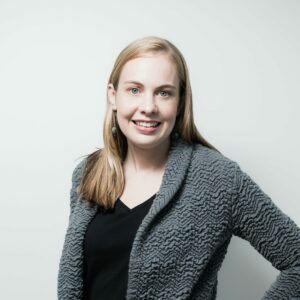 Emily McGee is the blog manager at Teamweek, where she coordinates a team of writers and designers to bring you new management content five days a week.